Whether you are a vampire hunter shielding your neck from the fangs of the undead or a wandering warrior wanting to toughen up your mysterious look, the Luthor Leather Gorget adds unique flare and defense to your armour ensemble. 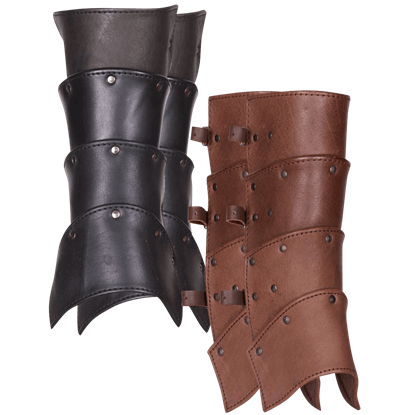 Handcrafted from high-quality leather, the front and back segments of this extended gorget fasten together via adjustable buckled straps at the sides of the neck. The high collar panel partially covers the lower half of the face, the right side of which is punched with small ventilation holes. Riveted panels extend down past the neck to partially protect the back and front of the torso, while additional buckled straps at each shoulder allow for convenient pauldron attachment. 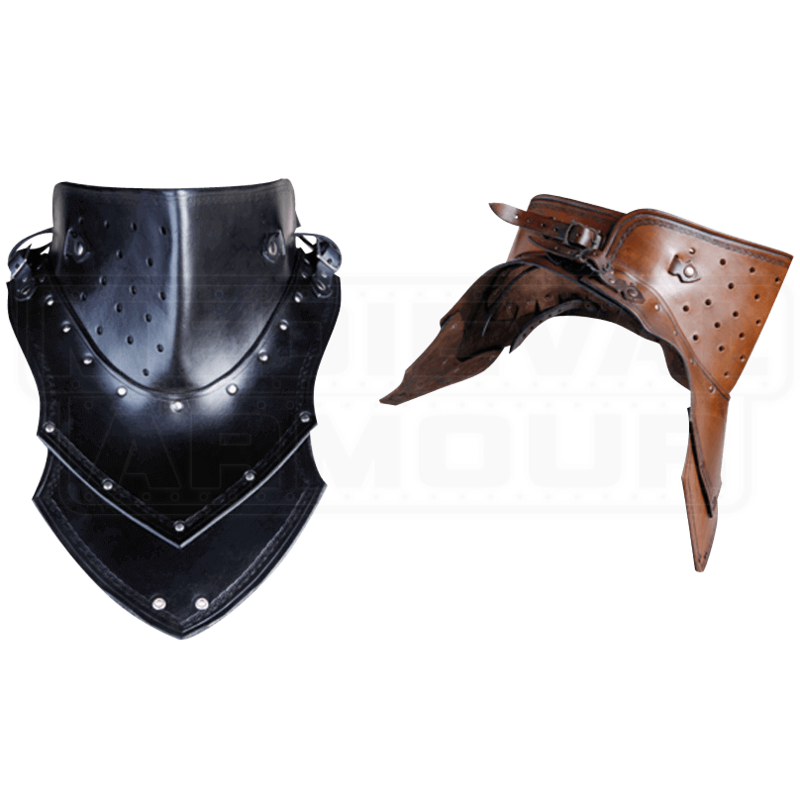 Grommets at the bottom front panels rounded point let you attach other armour or clothing pieces to this comprehensive and versatile gorget. A Celtic braid pattern embossed along the edges and an antique finish throughout add just enough detail to this exceptional leather neck guard. 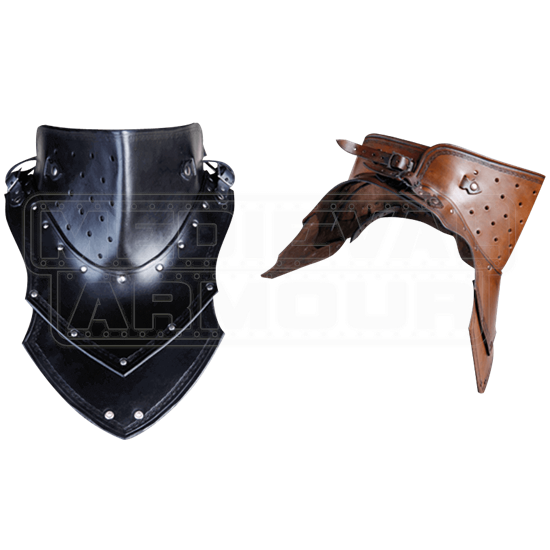 Wear this unique leather armour piece over your favorite padded jacket or coat for a rugged warrior look, or let its comprehensive design bolster your favorite full armour ensembles at Renaissance festivals and LARP events.